Last week marked the 41st anniversary of Roe v. Wade: a Supreme Court case that granted women the constitutional right to have an abortion within the first three months of pregnancy. Forty-one years later, the ruling enjoys the support of most American adults. According to Pew Researcher, 65% of American adults say they disfavor overruling Roe V. Wade, while 29% of adults welcome its appeal gladly. However, the 41-year-old statue’s popularity is meager in the African American community. According to Guttmatcher Institute, a pro-choice non-profit organization that researches abortion laws, 49% of African Americans believe that abortion is morally wrong, 15% believe it is morally permissible, and 33% see abortion as a non-moral issue. 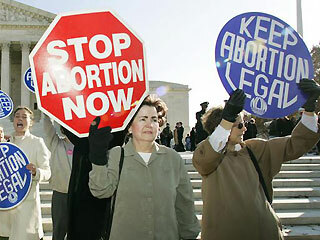 Paradoxically, Black Americans, being among the nation’s biggest opponents of abortion, also have the most abortions. The Guttmatcher Institute found that African American women are 15 times more likely to have abortions than their White counterparts. So, what does the anniversary of Roe v. Wade mean for African Americans? Guttmacher’s research also found that the non-use of contraception is greatest among those who are young, poor, Black, Hispanic, and/or less educated. And so, perhaps, sexual education may indeed be the thin parcel of mutuality between the opposing factions; as an increase in contraception usage would equal a decrease in situations where abortion becomes an option.